Stanley Martin Lieber, better known as Stan Lee, was behind the creation of some of the most iconic comic book characters, including Spider-Man, the Incredible Hulk, and the Fantastic Four. His name and characters have become synonymous with the Marvel Comics brand, as it likely would not have survived in the competition against DC Comics – creator of the likes of Superman and Batman – without him. More than just characters with superpowers, though, the figures that Stan Lee created were dynamic individuals who had their own life experiences which challenged them and turned them into advocates of social justice. Take Spider-Man, for example. He created Spider-Man to help kids deal with teenage isolation and depression, and Peter Parker is the epitome of those things: raised by his aunt and uncle, he struggles to fit in at school. When his uncle is murdered in cold blood, he uses the anger to fuel his vigilante nightlife of fighting crime and rescuing victims. The X-Men, also his creation, was the ultimate outcasts who find their way in a society that does not want them. The X-Men comics eerily parallel the tragedies of the Holocaust, something that should not come as a surprise, as Stan himself was a non-practicing Jew. 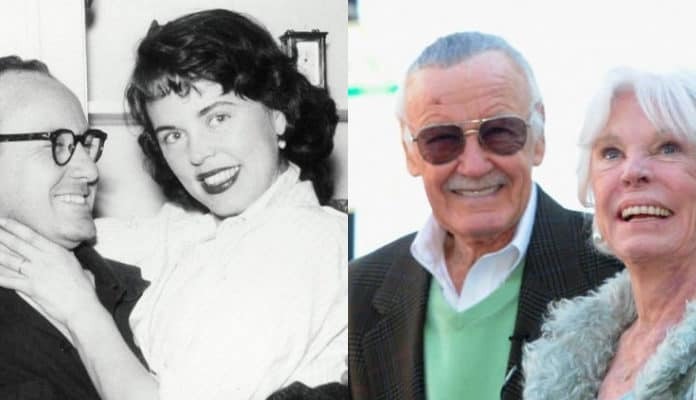 Stan Lee with his wife, Joan. Getty Images. Stan didn’t just create comic book characters with a mission of social justice. He was a maverick who broke all the rules that he didn’t like. When his comics featured the realities of inner-city squalor, mainly drugs and crime, the Comic Code Authority – which censored cartoons for content – disapproved. He went on and published his comics anyway without seeking their approval. Eventually, the CCA was revised to allow for accurate representation of real-life social problems. Additionally, the US government asked him to create comics that dealt with realities of crime and other ills. The result was an edition of Spider-Man in which Harry Osborne takes a near-fatal dose of LSD. Stan Lee and President George W. Bush. Zimbio. Stan Lee began working for Timely Comics – which later rebranded itself as Atlas Comics and then Marvel – in 1939, the year that World War II broke out in Europe. During the war years, he served in the United States military but never went overseas; he was actually one of less than a dozen individuals who served as authors and illustrators to boost the morale of troops serving overseas. During this period, Stan Lee began writing Captain America comics, which helped raise patriotism both at home and abroad. Later he would start creating his iconic characters to compete with the likes of Superman, Batman, and Wonder Woman. Stan Lee with some of the comics he created including Spider-Man and Iron Man. Soleciology. Stan Lee passed away in 2018, after becoming a Disney Legend and receiving a Medal of Honor from President George W. Bush. By the time he had died, the epic artist had made cameos in dozens of movies based on his characters and had also shot cameos for films to be made after his death. Stan Lee had appeared on his favorite show, The Simpsons, multiple times and even had a day named after him in Los Angeles. He pushed the boundaries at every juncture in his life, including his personal life. This quality is particularly evident in his marriage to Joan, who passed away just a year before he did.